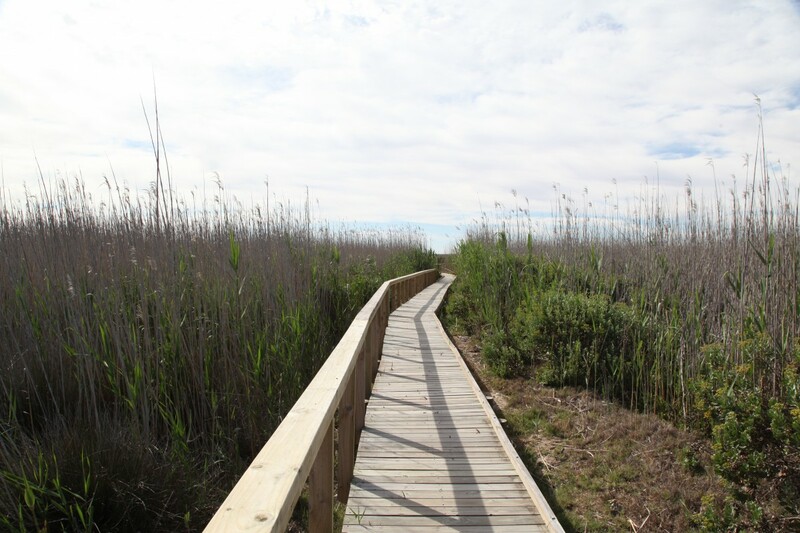 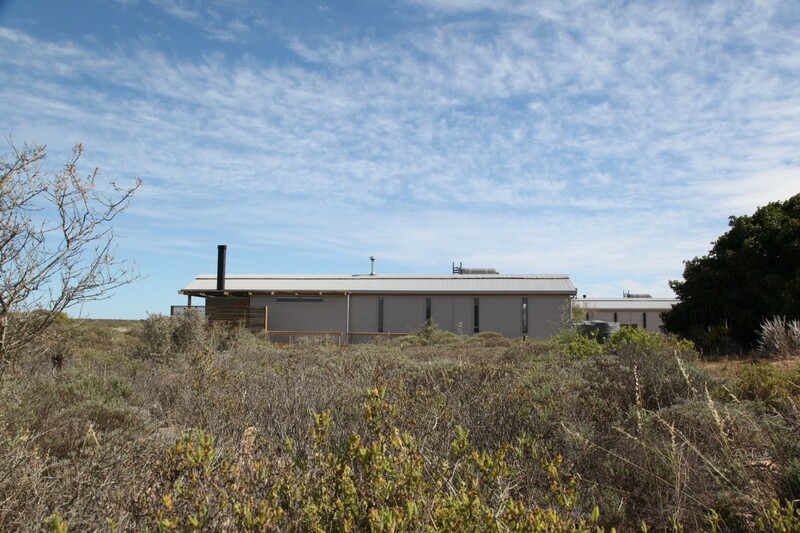 The Rocherpan Nature Reserve, located on a seasonal pan is a spring flower paradise along the Flamingo Route located on the Cape West Coast. 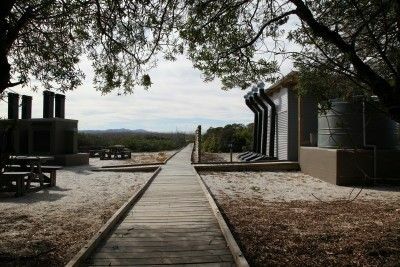 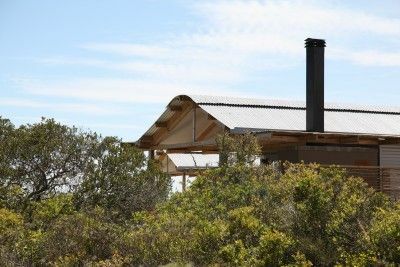 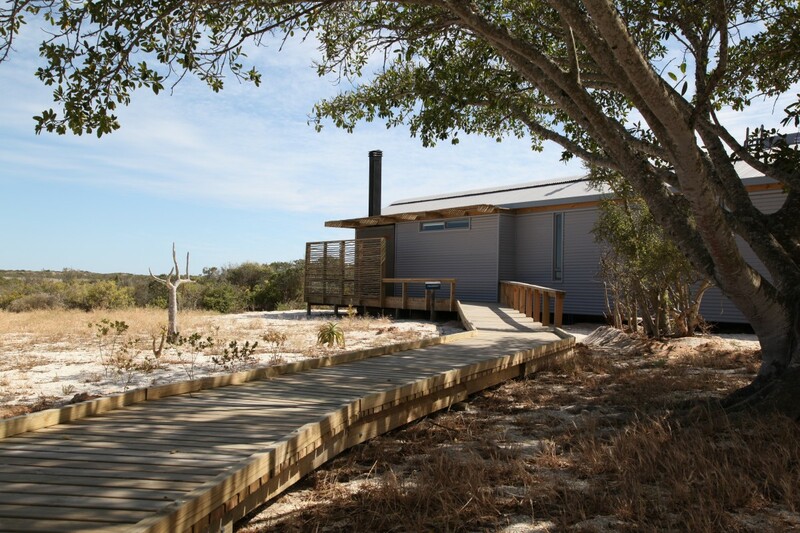 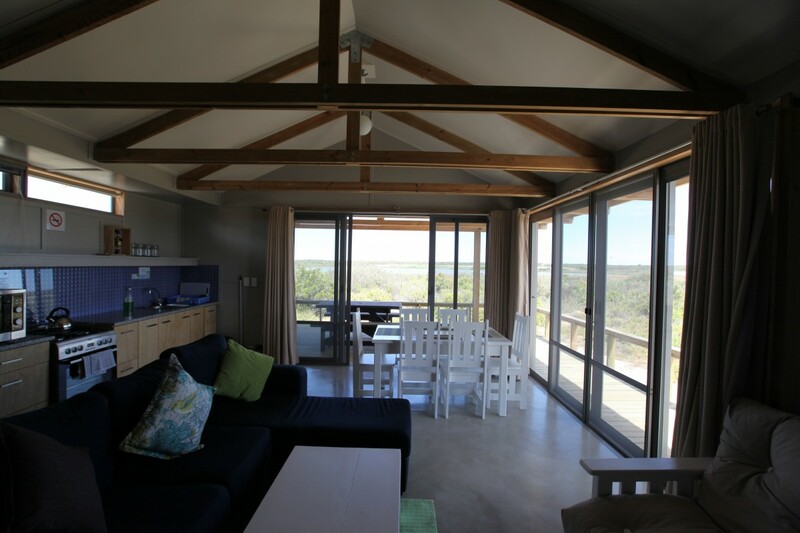 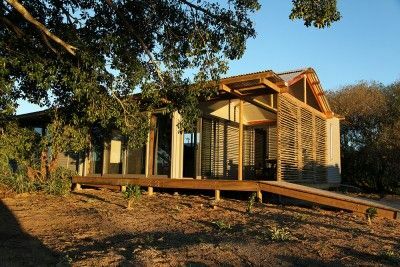 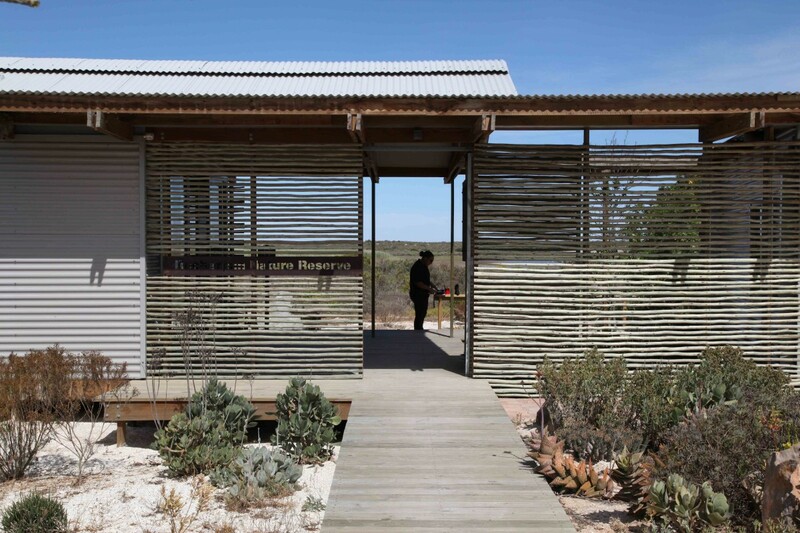 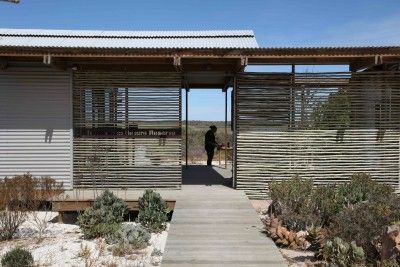 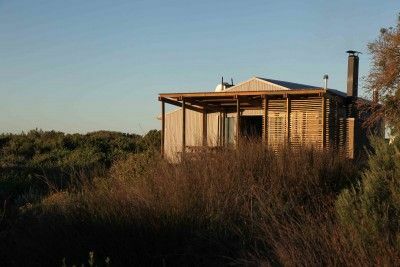 The project is comprised of a total renovation of the previously under-utilized tourist cabins on the CapeNature site. 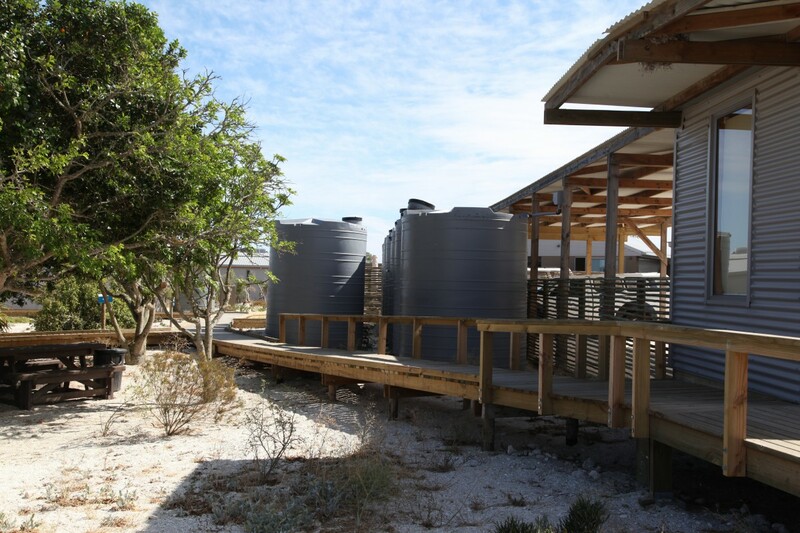 Included in the work was the upgrade of 4 existing corrugated iron cottages, 2 new staff houses, storage, parking, new reception, offices and public facilities. 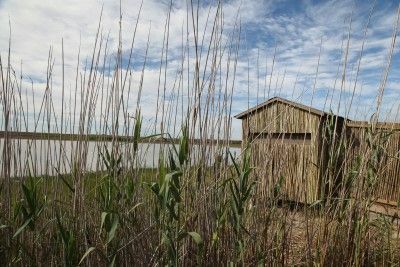 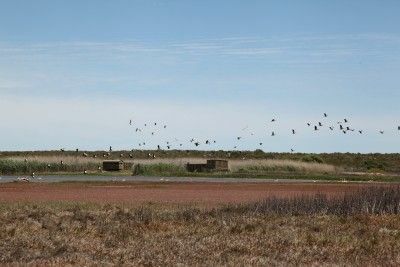 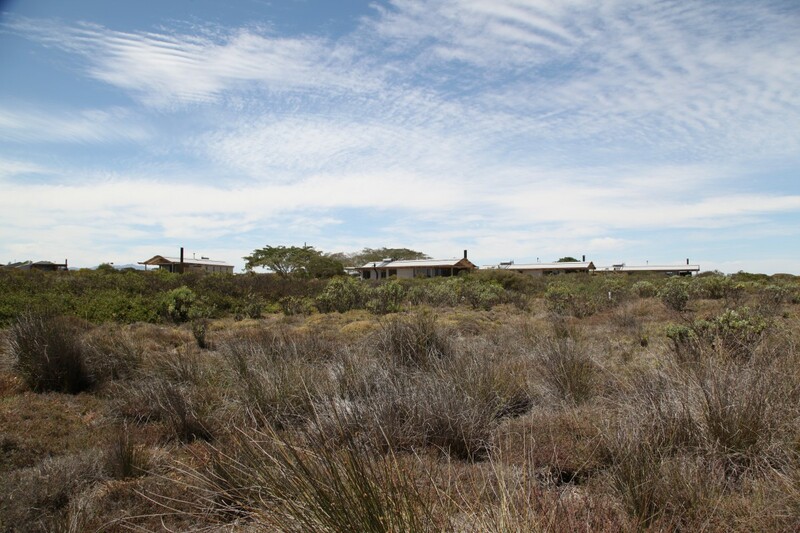 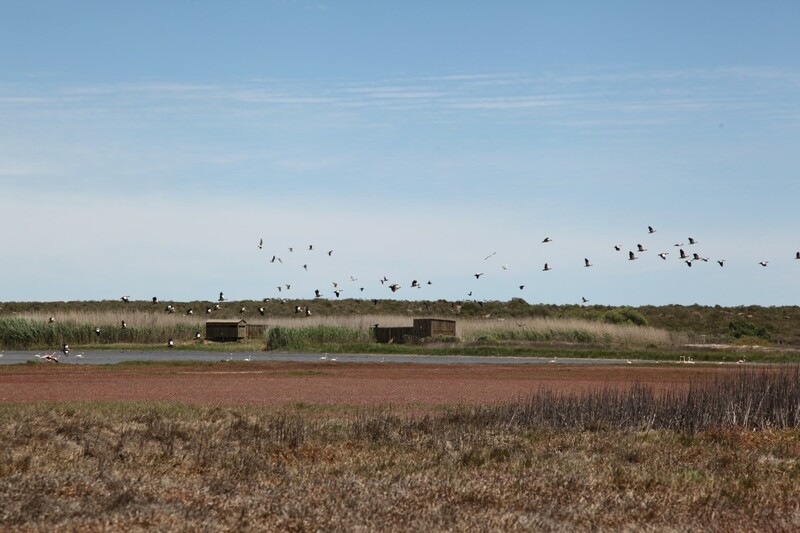 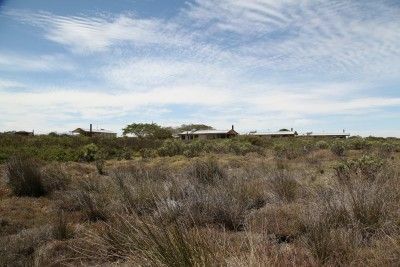 The reserve is located in the coastal plain in the arid Strandveld region which has extremely low annual rainfall (250mm) and no potable ground water. Timber framed, light-weight houses with low curved roofs nestle in the bush and capture rainwater to supply the houses. 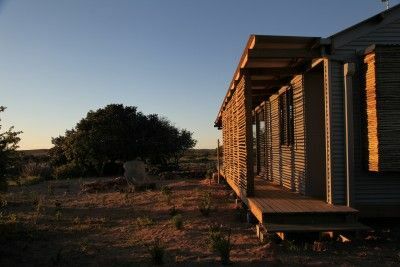 Simple, passive, low energy, lightweight design principles have been included to provide opportunity for tourists to get close to nature. The new facilities are designed for universal accessibility and allow people of all physical abilities to enjoy the beauty of the landscape in which it is nestled.